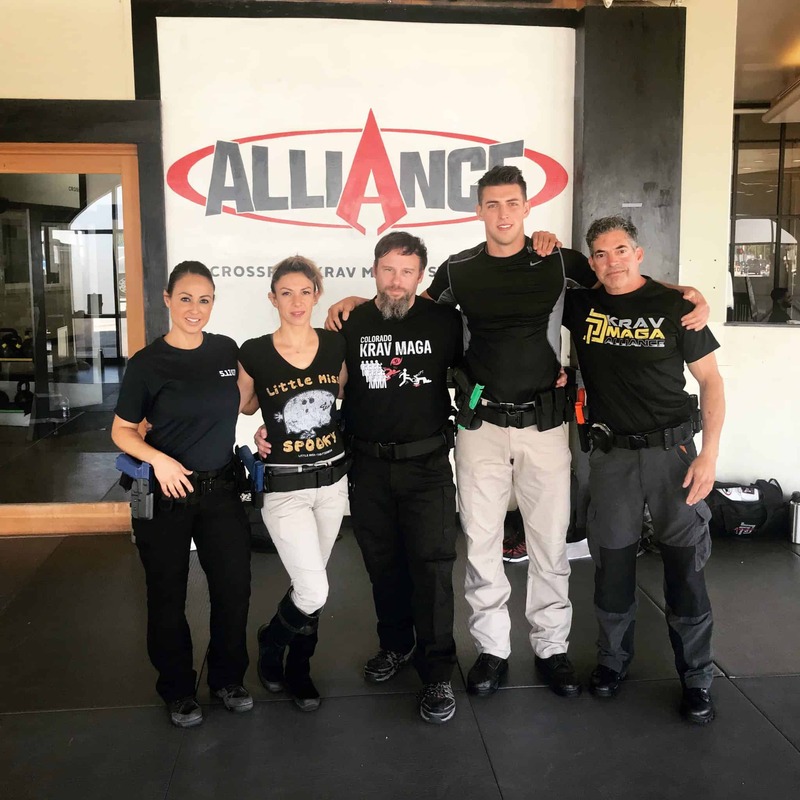 Last weekend we held our annual Allied Forces event in Las Vegas, which involved three days of Krav Maga, fight training, live fire shooting, and simunition training. All of this was preceded by a business seminar run by Paul Garcia, and instructor update training by John Whitman. Business Seminar – Paul Garcia of America’s Best Defense delved into successful sales and marketing strategies. If you’re a school owner, you should have been there. It was some of the best practical advice you’ll ever get, and it was FREE. Update Training – Krav Maga sticks to its principles, but we’re always looking to improve techniques. This seminar went over technical details of the Krav Maga Alliance curriculum. Advanced Krav Maga – knife, stick, stress drills, and more. This is the heart and soul of what we do, and it was a blast! Fight Training – not only did we do a bunch of great sparring drills, we also had Seb Zewdie, the 1980 Olympic Bronze Medalist in boxing, give a 2 hour seminar on boxing that was excellent! Live Fire Training – this hands on instruction on firearms was taught by Jeremy Stafford, Director of the Force Division. Advanced students did a lot of stress drills and shooting competitions. Awesome work! Siminution House – we trained against an Active Shooter in a hostage situation, learning to enter and clear rooms, and to deal with a Shooter who was already pulling the trigger on hostages. This section was run by two current SWAT team members with years of experience doing exactly this. Mark your calendar for October of next year!